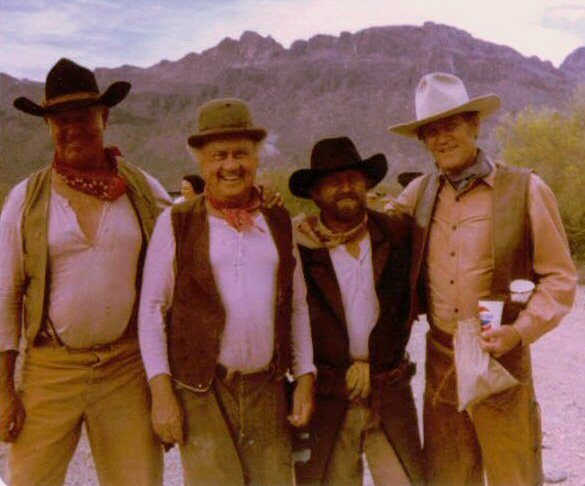 Have you LIKED The High Chaparral Reunion on Facebook? 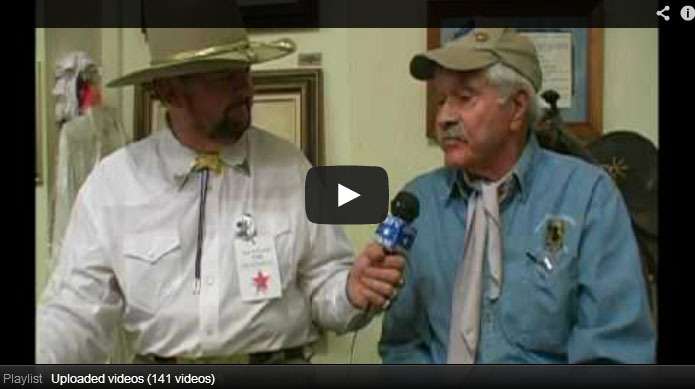 Stop in, click LIKE and watch for HC Ranch Foreman Don Collier's comments on posts. Help us get the world out about The High Chaparral! If you like groups check out the High Chaparral Group for lots of great discussion, photos and links too (you'll see Don there often). 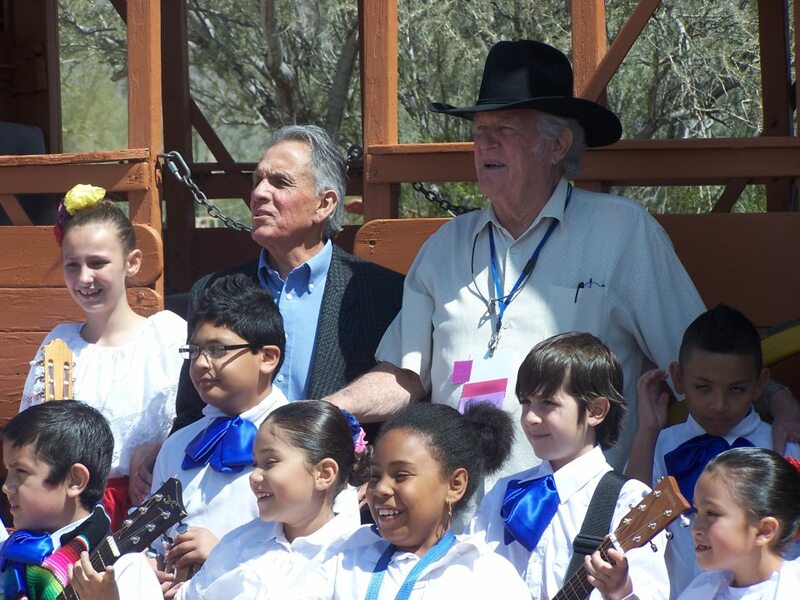 There are other groups for all the celebrities, so join The High Chaparral family! 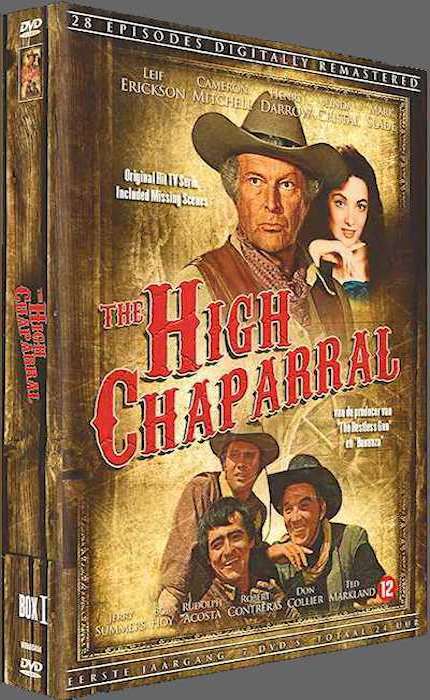 Season 3 of The High Chaparral on DVD will be released in September. Each DVD set is $65.00 plus shipping The majority of US players accept these with no problem. Fans in Sweden can look forward to a Season 3 release in July followed by Season 4 in October. Early Registration Rate Ends SOON! 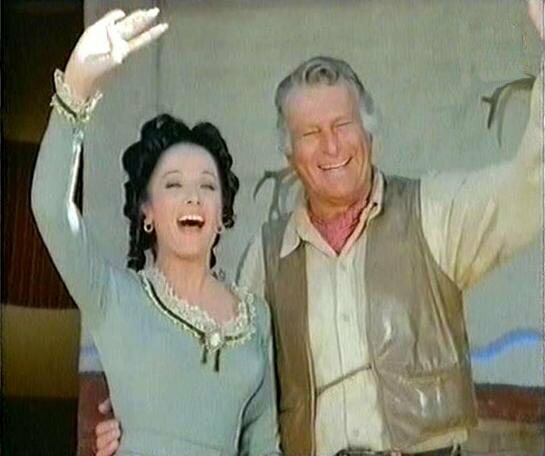 Dates for the 2014 High Chaparral Reunion will be set any day now. When exact dates are announced the special early rate of $255 will go up. The regular rate is $350 so fans have a chance to save by registering now. Contract negotiations are about to be finalized. It looks like March 2014 is the target. If you know you're attending the 2014 Reunion, lock in your reservation to save. How does it feel to be the world’s only Gumfighter? “It’s great!” says Don Collier, the 51-year old actor-turned-TV cowboy who has shown America how to blow great big fat juicy bubbles that won’t stick to your face. “But I have to admit, I thought I’d never do anything quite like this." The native Californian prefers acting in roles with a Western theme. He began appearing in Western movies in 1948 and has worked closely with such great Western stars as John Wayne and Anthony Quinn. He starred in the early 1960s television series “The Outlaws,” and played the ranch foreman in The High Chaparral television series from 1967 to 1970. After the last series he began acting in television commercials. After Don’s initial interview for the part of The Gumfighter, he was given a sack full of Hubba Bubba and told to “go home and practice blowing bubbles.” Although he claims he’s not really an avid bubble gum chewer, he did his homework and developed an expertise to rival that of a lifelong addict. On Saturday mornings, Don follows the pattern of millions of children across the country and gets up early to watch cartoons. At first Don’s family and friends used to tease him about “growing up to be a Gumfighter,” but he says they have finally realized that it’s no joke. And if his holster is loaded with Hubba Bubba, he obliges. “The High Chaparral” will be honored at “A Gathering of Guns 5” at the Memphis Film Festival June 13-15. Series guest stars include Henry Darrow (Manolito), Don Collier (Sam Butler), and Rudy Ramos (Wind). Additionally, Gregg Palmer who was seen in the “Ride the Savage Land” episode, Robert Loggia who guest starred on “The Deceivers” and “The Forge of Hate”, and Tommy Nolan who was on “Tornado Frances” will all be in attendance. Several “High Chaparral” episodes will be screened in the film rooms. One of the events during the three day festival will be a “High Chaparral” panel discussion hosted by Boyd Magers of WESTERN CLIPPINGS. 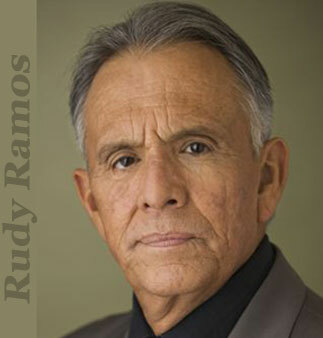 Rudy Ramos (Wind) will perform a special reading from the one man play "Geronimo, Life on the Reservation". The location is Sam’s Town Hotel/Casino in Tunica, MS, just outside Memphis. Call (800) 946-0711, Identify you’re with the Memphis Film Festival by using group code MEMF13-A. Other guest stars include Robert Fuller, Dan Haggerty, Johnny Crawford, James Drury, James Best, Tim Considine and David Stollery (Spin and Marty), Terry Moore, Alex Cord and several others. Please go to www.westernclippings.com for more details on all the events. High Chaparral star Rudy Ramos will perform a reading of Geronimo, Life on the Reservation at the Memphis Film Festival during the weekend of June 13-15, 2013. For reservations see the website at www.memphisfilmfestival.com. 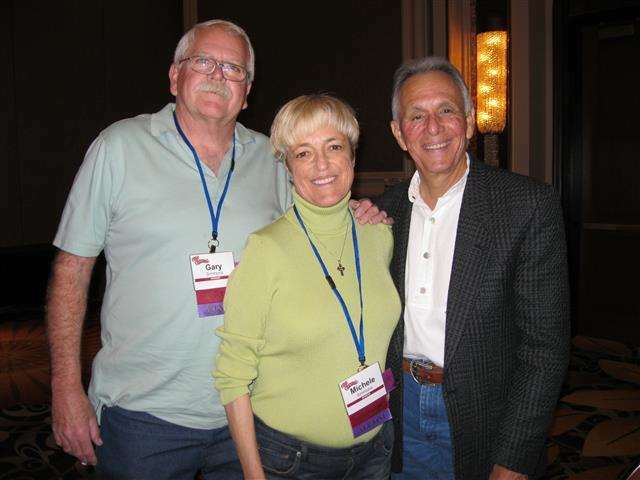 Rudy premiered a reading of the one man play at The High Chaparral Reunion in Tucson, AZ in March of 2013 to rave reviews. He will debut the entire production at the 2014 High Chaparral Reunion in March. A historical fantasy of Geronimo’s life on the reservation after his surrender that focuses on the resiliency and humor of the great Apache Indian leader. In this presentation, Geronimo cleverly evolves from a surrendered Indian leader into a successful entrepreneur. He participates in wild west shows, the Chicago World Fair, and others. Keenly aware of how to work the political system, he joins the same church that Teddy Roosevelt belongs to and rides in his Inaugural Parade. Although he isn’t successful in getting everything he wants, he certainly succeeds in making the best of his situation. Beaten? Geronimo was never beaten. He simply adapted to his present circumstances and learned to take advantage of the white man on a new battleground. As I mentally prepare for this next journey, the medical team might wonder.why I wear such a grin. A High Chaparral Reunion usually means laughing non stop, eating great food and embracing wonderful friends; long time friends, and new friends made at the 2011 Reunion. I'll be remembering it all. My smile will be because I'm remembering the wonderful gentle hug from Rudy, the warmth he always greets people with. How his performance of "Geronimo" was so powerful, so moving it left everyone in the room spell bound. I'll remember how wonderful Henry and Lauren looked, how great to see them again. I love Henry's laugh! You just feel it all the way through. I'll remember Kent & Susan McCray's sincere thanks and appreciation for us, the fans! They are the ones we are so grateful for. And I'll remember Don Collier. His endless, wonderful stories, his deep voice, his welcoming kiss, and his singing at the White Stallion Ranch. What a night that was to start our wonderful weekend. I don't usually eat much beef, but I could have eaten a side of steer that night. Their food was outstanding, the beauty of the ranch magical, the company at my table were friends from all over the country. It was a night I'll always remember. The best thing, the biggest smile was Sunday morning when I knew I had the highest bid on Bob Hoy's hat at the silent auction. I'm now the current caretaker of this most wonderful piece of memorabilia. How I admire that man and all he stood for. His wonderful portrayal of Joe Butler was of a man who was loyal to family, friends and to the Boss. Usually the most quiet of the crew, always brave in battle, always the strongest in his horsemanship, his readiness to protect the brand and his fellow bunkhouse boys, and his resolve to never back off from what needs to be taken care of. No matter how hard it might seem. His portrayal of Joe Butler, and the way Bob lived his own life, continues to inspire me. Right now, I face another medical issue to "take care of". I'll try to go through it with grace and with a smile, silently remembering all the wonderful hours of the 2013 Reunion. Remembering Joe Butler would never back off from what needs to be taken care of, no matter what. We didn't know how the 2011 Reunion could be topped, but thanks to Penny, Ginny and the wonderful countless volunteers, they found a way. Thank you, thank you, thank you all. I love my fellow Chaparral family. Penny hit the nail on the head when she said this time together isn't a conference or a convention. It's a family Reunion. Times spent with all of you are the very best. There is never enough time to spend together with my High Chaparral family. I am already planning our trip to the 2014 Reunion and that is bringing another big smile. 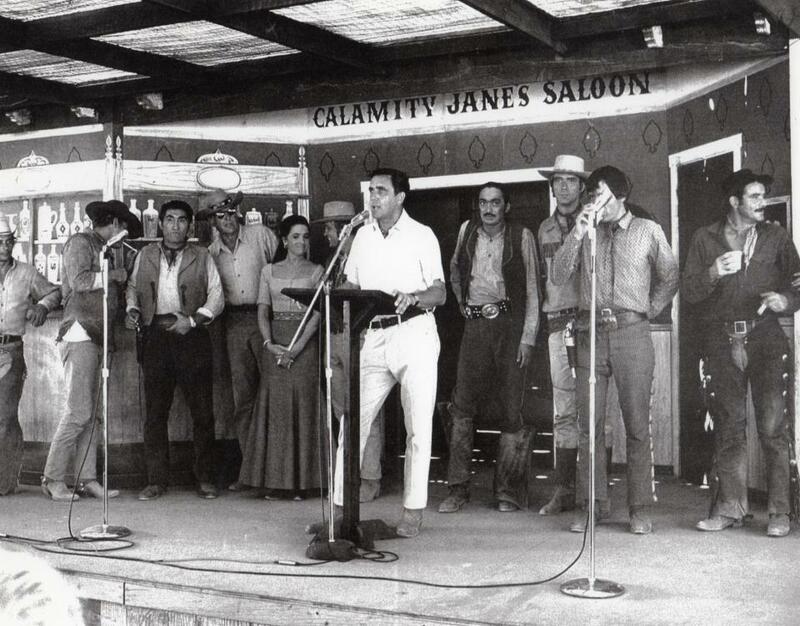 Bob Shelton, founder of Old Tucson, introduces the cast of The High Chaparral after what was obviously a long, hot day of filming on location. 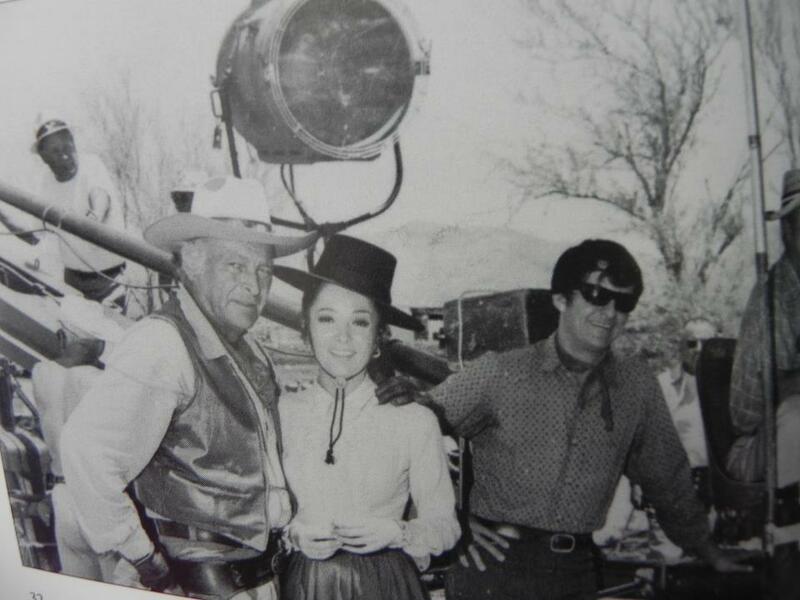 Candid shot behind the scenes between filming The High Chaparral. 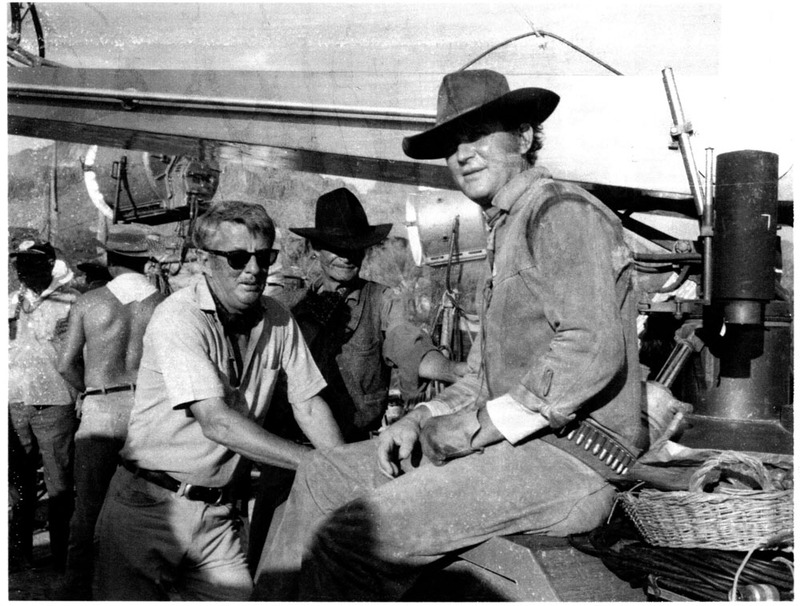 Behind the scenes of The High Chaparral with Don Collier (ranch foreman Sam Butler) and director Bill Claxton. 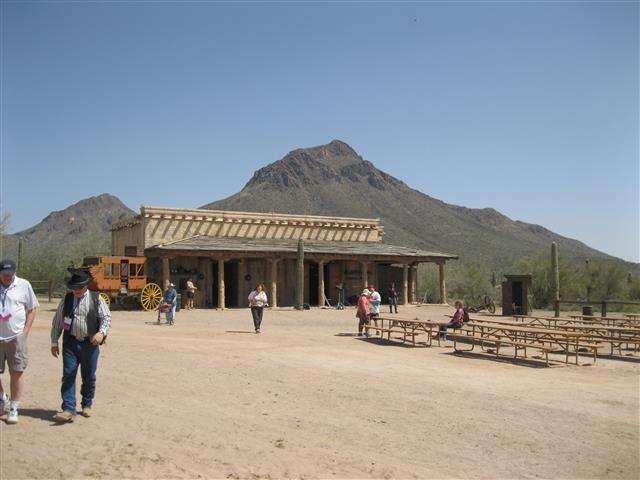 High Chaparral Reunion goers of 2013 were treated to live entertainment at Old Tucson Studios during their visit there. Young vaqueros and señoritas, all decked out in Mexican traditional dress, played instruments, sang and danced in the shadow of the original High Chaparral hacienda. The group is part of the The White Elementary Bulldog Mariachi and Folklórico program within the Tucson Unified School District. The effort offers a chance for kindergartners through fifth graders to learn an instrument, traditional dance, showmanship, self-confidence and discipline in a musical setting. They also learn the result of hard work and a positive attitude. To participate in the program, students must have a good academic standing and a good outlook, so they reflect well as school leaders and role models. The Folklórico dancers and musicians delighted the HC’ers with more than a half-hour of dancing, singing and playing. The group performs locally in all sorts of venues, and is often at Old Tucson for various functions. While part of the school district, the group still needs financial support from the families and community to purchase and maintain the costumes, the instruments and to keep the membership open so more can participate. 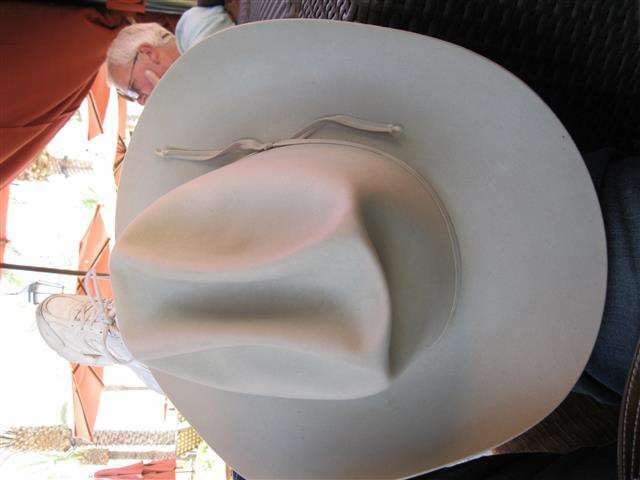 If you’d like to join The High Chaparral Reunion and help out, go to www.tusd1.org. Click on Community tab, then AZ Tax Credit. Select White Elementary, and then Mariachi Program. The kids and teachers will be indebted to you for your help. Olé! Blonde hair and leather wrist gauntlets? 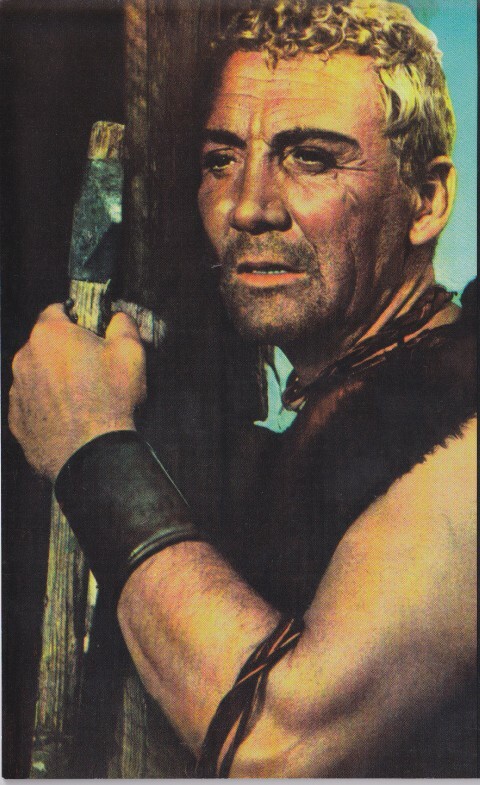 It's not Uncle Buck, this is Cameron Mitchell as Rurik in the 1966 Mario Bava-directed film Knives of the Avenger.